Gran Hotel Domine in Bilbao is an icon of contemporary luxury and like the city it lives in is an art aficionado’s paradise. Set in the heart of Bilbao, it is the perfect place to explore the gems that this contemporary art hub has to offer, most notably its next door neighbor the Guggenheim. It is not just the Guggenheim that showcases incredibly artwork though with Gran Hotel Domine being home to innovative contemporary pieces such as the dramatic sculpture ‘Fossil Cypress’ that greets guests as they arrive. It is the perfect introduction to Bilbao’s unique artistic appeal. 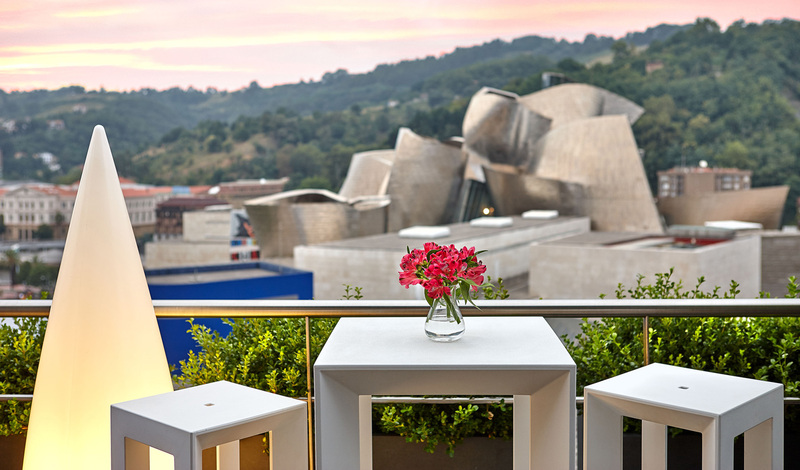 Ideally located for your northern Spain city break only 15 minutes from the airport and right opposite Bilbao’s famous flower dog and the Guggenheim Museum, the Gran Domine really is the place to be. Of course, you cannot travel to Bilbao without visiting the world famous and architecturally unique Guggenheim museum where you will find works of art by the likes of Richard Serra and Justin K. Thannhauser. For fantastic views of the city, be sure to take a scenic boat trip down Bilbao river during your stay. The 145 rooms and 10 suites at Gran Hotel Domine reflect the feel of the city and are contemporary and timelessly stylish. The hotel’s focus on art continues throughout them thanks to Javier Mariscal’s original canvasses adorning the walls and most boast unbeatable views of the Guggenheim of course with the suites having private terraces overlooking it. Gran Hotel Domine is exactly the sort of luxury hotel that Bilbao needs- architecturally innovative and artistically splendid. 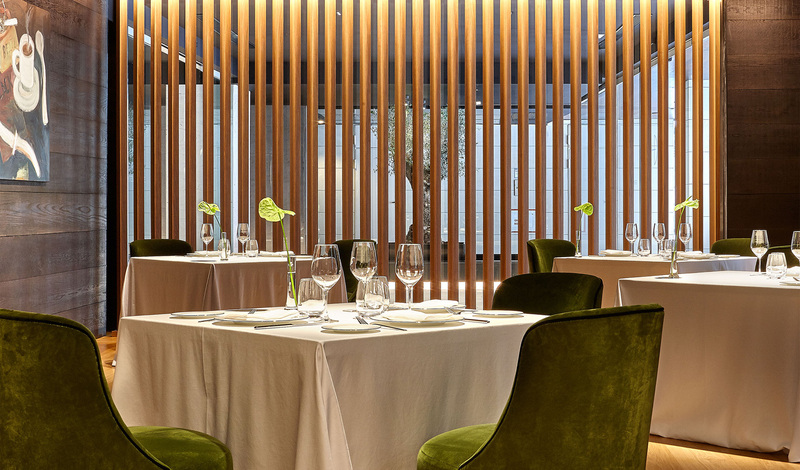 But that doesn’t stop at its design as the Beltz restaurant, helmed by Abel Corrall, offers an imaginative reinterpretation of Basque cuisine that is not to be missed. Head to Bar Sixty One for a sophisticated evening cocktail or night cap to wash down that delicious food and watch the sun set behind the Guggenheim. Glorious.